With Year Three Season Two (Y3S2) of Rainbow Six Siege fast approaching, Ubisoft has decided to offer a free weekend to drum up hype and expand its player base. A weekend might not seem like enough time to get into a game like Rainbow Six, but fortunately, Ubisoft’s weekends start early. Starting May 17 (Thursday) PlayStation 4, Xbox One, and PC users will have the opportunity to try out Rainbow Six Siege for free until Sunday, May 20. They may also take advantage of a 50-percent discount if they like it enough to buy it. Season one of this year is only about halfway through, so Y3S2 is still several weeks away. However, Ubisoft has teased us with a few details of what we can expect in the coming update. 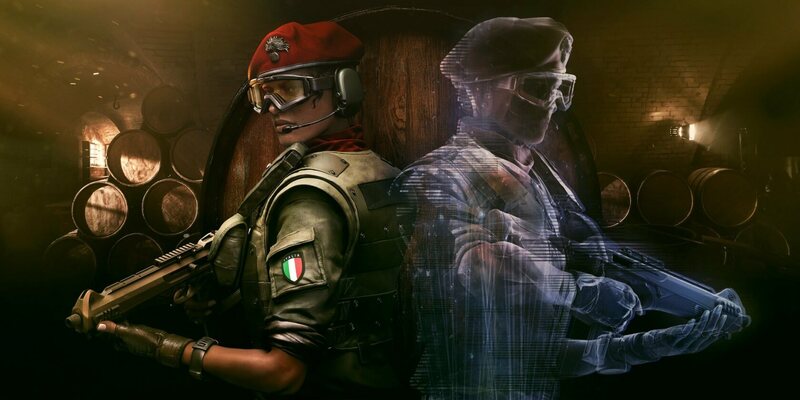 Season Two's "Operation Para Bellum" will feature Italian inspired maps and operators. Two new operators are in the lineup, but Ubisoft only gave us the background for one of them on its Steam blog. According to developers, De Luca was inspired by real-life Raggruppamento Operativo Speciale infiltration specialists. Pre-season designer’s notes also indicate that the Y3S2 update will bring a few balancing changes to operator movement speed. The dev’s feel that the game is weighed too much in favor of speed making heavy armor a less viable option. They will try to bring these two factors closer to the middle and slow the pace of the game a bit. Having handguns drawn will also affect movement speed. Operators will gain a slight speed advantage when moving with their pistol versus having an assault rifle at the ready. Season Two’s precise launch date has not been announced yet, but Ubisoft has a big Y3S2 reveal slated for May 19-20 on Twitch during the Pro League Finals.